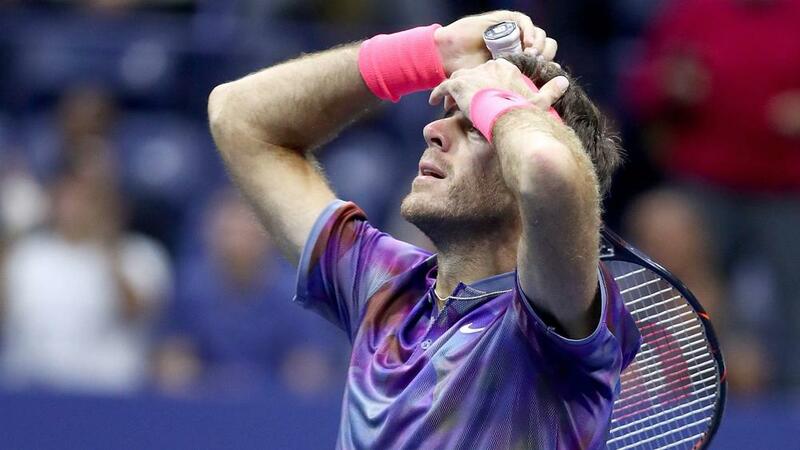 Juan Martin del Potro was delighted to be able to deliver his best performance of the US Open in a last-eight victory over Roger Federer. The Argentine's only previous grand slam final saw him beat Federer at Flushing Meadows to clinch the title in 2009 - and a 7-5 3-6 7-6 (10-8) 6-4 win on Wednesday ensured he retains hopes of another triumph. And 24th seed Del Potro - who had struggled with a fever against Dominic Thiem in the previous round before a stunning comeback - was pleased that everything came together for him against Federer. "I think I am recovering well - I did what the doctor said, all the treatments, and I just played free," he said. "I don't have anything to lose against Federer, so I did my best game of the tournament. I played a very smart game during the whole match. "[It] is so important to me, beating him another time in this amazing tournament." Del Potro will now face world number one Rafael Nadal in the semi-finals - in a repeat of the last-four clash from eight years ago that he is relishing despite not being fully fit. "I'm feeling good - I think my backhand is improving every week," he said. "I made my best backhands of the tournament in the important moments of the match, in the set point of the third set and then to break his serve in the fourth. "Physically I'm not in the perfect condition, but, when you play semi-finals of a grand slam, everything can happen. "So you must be ready for the chance and, playing against Rafa in my favourite tournament, I will try to enjoy the atmosphere, the game. I know if I play my best tennis, I could be a danger for him." With a smile, Del Potro added: "He's a lefty, so he has [the] chance to easily find my backhand. So I don't know what my strategy's going to be. "But for sure I will try to make winners with my forehands and don't run too much, because my legs are tired."